Dubai Shopping Festival started way back in time, over two decades ago, when Dubai was merely a parched soil. Dubai visa was not easy to get and the landscape of Dubai was flat, like an abandoned land seeking refuge. Back then, the great Sheikh had a vision of emerging the flight of Dubai into an avant-garde tourism destination all-year round. 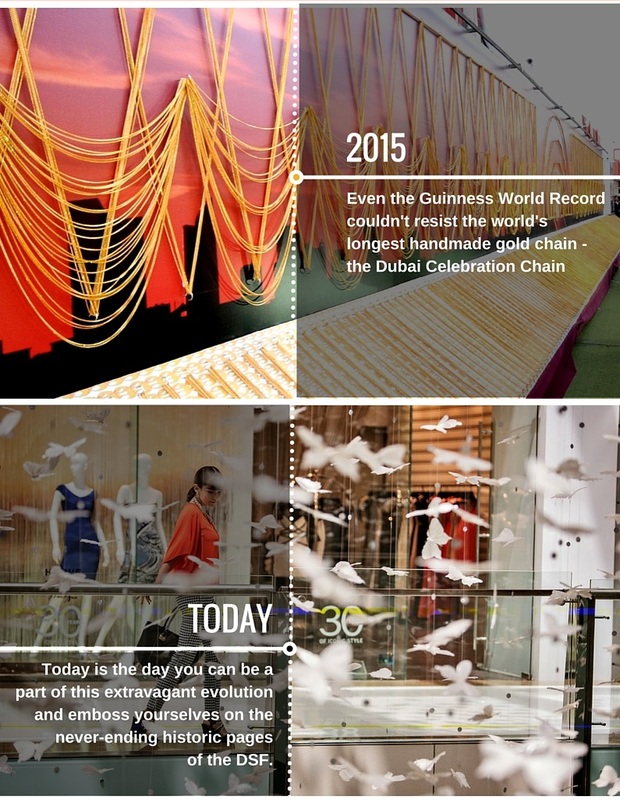 Turn pages back in time and visit the Dubai Shopping Festival over 21 long years with our unique timeline.